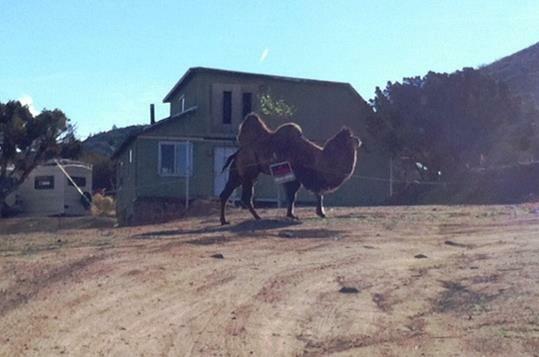 Deputies from the Palmdale Sheriff’s Station responded to reports of a vicious camel running loose and attacking people. 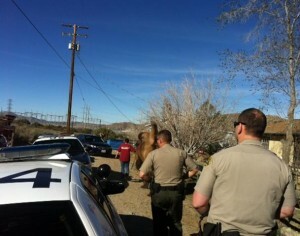 The camel had managed to get loose from its area of care in a remote area of Acton, Unincorporated Los Angeles County. 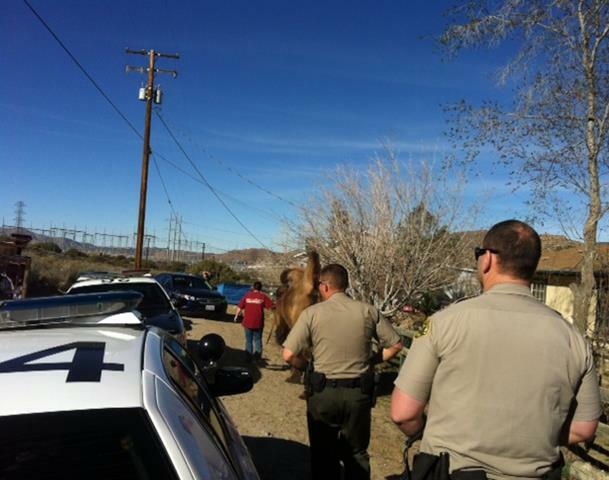 While the camel was loose the first time, it reportedly bit a neighbor who was attempting to help corral it. At some point, neighbors and others managed to corral the camel and return it to the property it had come from, prior to the deputies arriving. However, when the first deputy arrived on scene the camel managed to free itself again and began running towards the deputy, firefighters and others. The deputies and firefighters managed to use their patrol cars and fire trucks to help block the path of the camel and influence it to walk towards a nearby property. A woman at the nearby horse property was able to calm the camel and ultimately put a halter on him. She was able to guide him into an enclosure on the property. The condition of the person who was bitten is not known at this time. No one else, including the camel, was injured during the incident. 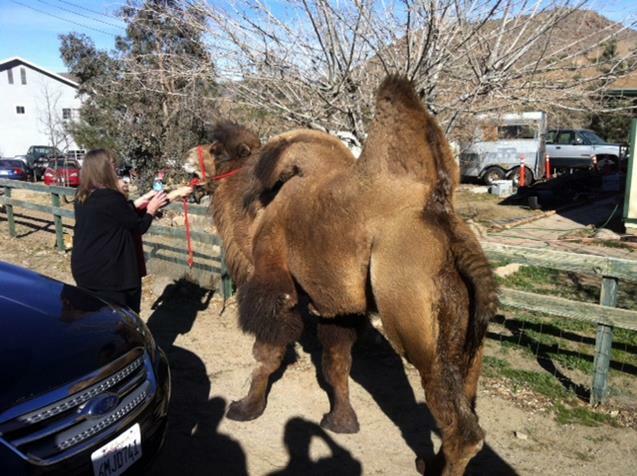 The Los Angeles County Department of Animal Care and Control is handling the investigation and has taken possession of the camel. KTLA reports that the camel is being held as evidence against the owner, because the owner did not have the proper exotic-animal permit. 1 comment for "Camel escapes, attacks man in Acton"
I am sorry the man who tried to capture the camel was injured. I hope, too, the camel is okay and gets to return to its owner.